Read Chapter Three of Inner Christianity, Salvation and Gnosis. Copy and paste the questions below to a new e-mail, insert your answers and send to the Mystery School with the following subject line: InnerChris 3 from ___________ (Your name). 1. What is the inner meaning of the commandment against idolatry? 2. 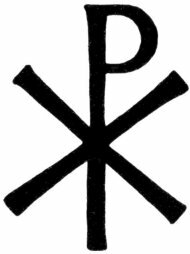 Describe the esoteric meaning of the cross. 3. What does a third line in the cross represent? 4. What body part is associated with these things? 5. Esoterically, __________ refers to the idea that as _____________ progresses, it passes through a ___________ _________ number of different __________, or different ___________ of __________. 6. What are the three possible states the consciousness might end up in each time it survives body-death? 7. T/F Much of our conditioning is not likely to survive death. 8. What is the weighing of the soul? 9. T/F We are free to choose heaven or hell. 10. What are the three motives for Christianity's reticence about reincarnation? 11. In essence, ___________ consists of asking _______ for help so that you will not be __________ ________ to ________ _________ at the hour of death. 12. In what scripture verses are the two great commandments found? 13. Loving the Lord thy God has to do not with __________ but with __________ ourselves to his _______________. 14. T/F Salvation is a beginning of the reversal of the Fall. 15. For whom are ethical injunctions made? 16. What metaphors are used in Christianity to express the idea of karma? 17. T/F Gnosis is available to all for the asking. 18. Attaining _________ or __________ in the ultimate sense means ___________ one's _________ consciousness with the __________. 19. ______________ and _________________ are always essential, and _____________ always dangerous.